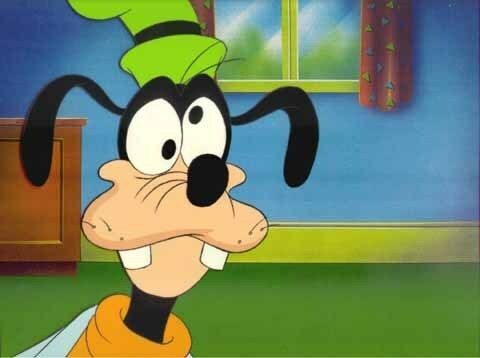 Goofy. . Wallpaper and background images in the Дисней club tagged: disney walt movies walt disney. This Дисней fan art contains аниме, комиксы, манга, анимационные фильмы, комикс, мультфильм, and книга комиксов. There might also be знак, плакат, текст, классной доски, and доске. What a very hot look ! Hey, with this face Chowder will fall ! But, we found her a pretender ! She can't have 2 !! She'll have a big decision to make! They'll have to compete for her! Are you really sure they want compete for her ? Probably not...but we can hope! Yes hope is life and maybe love too !